HORRY COUNTY, SC (WMBF) - An aggressive driving crackdown spearheaded by the South Carolina Highway Patrol is headed to Horry County and will target drivers who break the law. 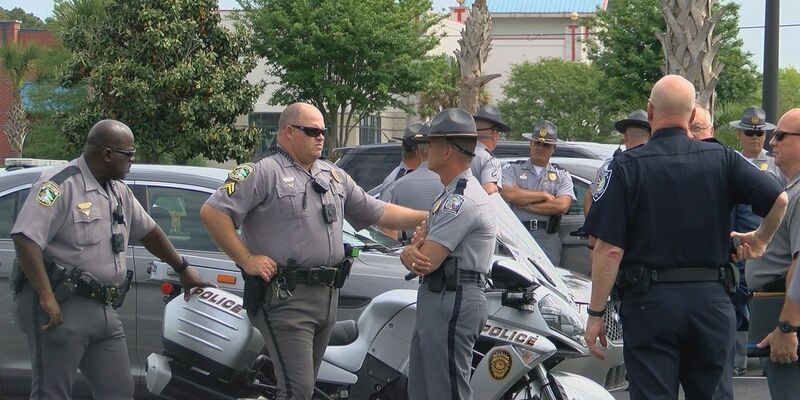 On Wednesday, the SCHP teamed up with both the Horry County and Surfside Beach police departments to announce a statewide enforcement and education program to reduce fatalities and accidents caused by carelessness and aggressive driving. It's called the STOP Aggressive Driving Campaign. Troopers say 70 people died in aggressive car crashes in 2016, and so far this year, there have been four. To reduce that number, law enforcement will be on the lookout for people tailgating, cutting other drivers off, speeding, following too closely and changing lanes unlawfully. "(The) large majority of our collisions are not DUI related, not because someone's speeding, it's because they're distracted," said SCHP Lt. Greg Caulder. "It boils down to one thing - inattention. And we've got to get to the basics, and that's No. 1, is key, is paying attention while operating a motor vehicle." While officers will be out in force looking for aggressive drivers, others behind the wheel also need to know what to do if they become a victim of road rage. Troopers suggest those on the receiving end of road rage not make eye contact with the other driver, and exit or turn off the roadway as soon as possible. If the other driver follows, go somewhere like a gas station where there are a lot of people. Troopers say road rage is not often reported, but on the other hand it's also difficult to have a road rage driver prosecuted unless a law enforcement officer witnesses the behavior, or there are witnesses of the incident willing to come forward. "Whether it be improper lane change, speeding, whatever the case may be, tailgating, we would like to get that on video," Caulder said. "That's going to help us down the road in the prosecution of that charge." Drivers can expect to see troopers out on the roads Thursday through Saturday. This campaign is a three-day effort, but motorists shouldn't rest easy if they're not caught because the initiative will continue all year long. To report aggressive drivers to the SCHP, callers should remember to dial Star 47 and a trooper will respond directly to the location of the situation.